It’s safe to say, the holidays are over! How sad! However, the bright side is 2015 is well underway and ripe with the possibility for winter travel. 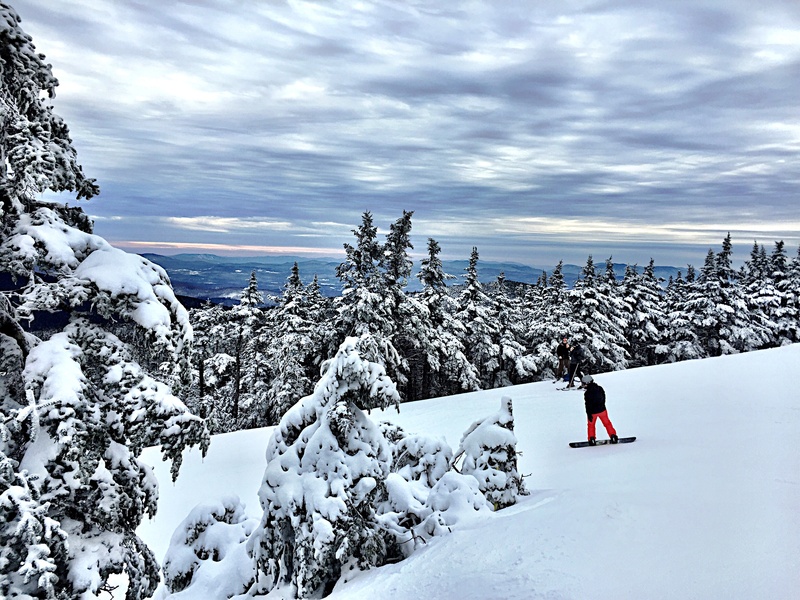 While some people might flock to a beach destination as the cold sets up residence in the East Coast, this is the perfect time to get the ski and snowboard tuned and waxed for a weekend trip to the slopes. 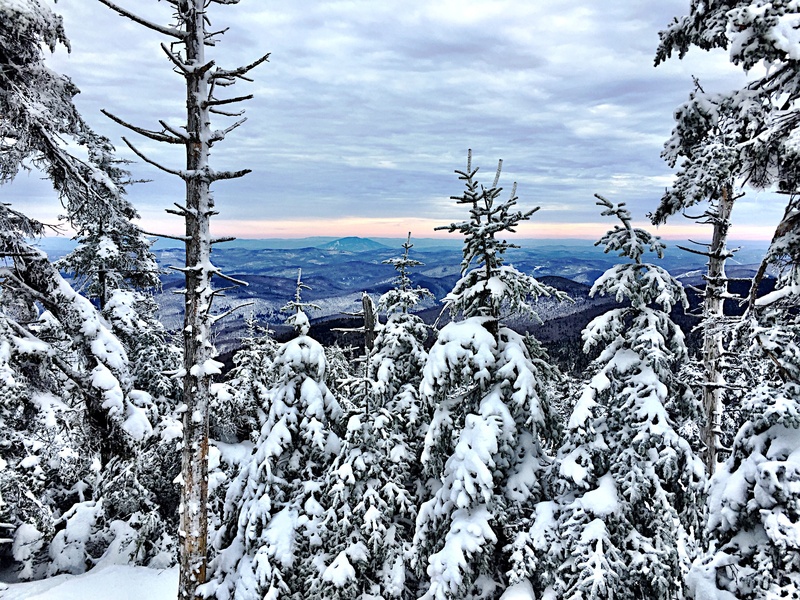 A couple of weeks ago, the hubby and I took a trip to Killington, our first visit, which was an absolute delight. Despite the holiday crowd that descended on the mountain for Christmas and New Years Eve, the weather was nearly perfect for the five days we were there. Conditions on the trails were picturesque: soft snow, long windy paths, and very little ice patches even at the peak. One of the best parts of snowboarding, is savoring that run down a long trail filled with bumps and turns. Definitely, Killington is the place for doing that! Bring your own car to get around the massive property but there is a shuttle bus for a $2 fare available to all Killington guests for transportation to mountain base areas, restaurants, shops and nightlife on Killington Road. The shuttle bus, which runs from from 7:15 a.m. to 1:15 a.m. daily, is always an option. However, when the temps dip into the teens or even the single digits, waiting around for a shuttle bus looks as appealing as a root canal. In the early afternoon, be prepared for a long wait at the K-1 Express Gondola lift to the peak. The lines are shorter and quicker in the early morning hours so take advantage. When staying at one of the Sunrise condos, you’ll notice the decor is a bit out of date, like something from the 80s or early 90s, if the VHS player doesn’t give it away, but everything is clean and well organized. Surprisingly, other digital appliances are more modern including the energy efficient washer and dryer, and flat screen TV. Who would of thought? Lastly, the condos pièce de résistance is the fireplace so remember to bring an extra fire starter, which can be purchased at one of the convenience stores at the main resort area. Après ski cocktails require a roaring fire. So share, what is your favorite winter destination? 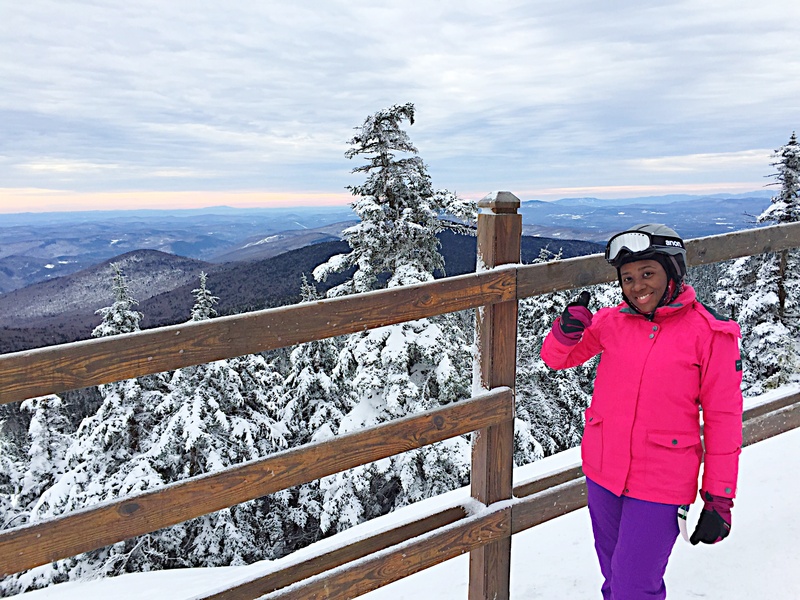 This entry was posted in Travel and tagged Killington, skiing, snowboarding, The Beast of the East, travel tips, winter sports, winter travel. Bookmark the permalink. « With 2014 Almost Out The Door, Time to Reflect! My favorite winter destination would probably be Hawaii! LOL. 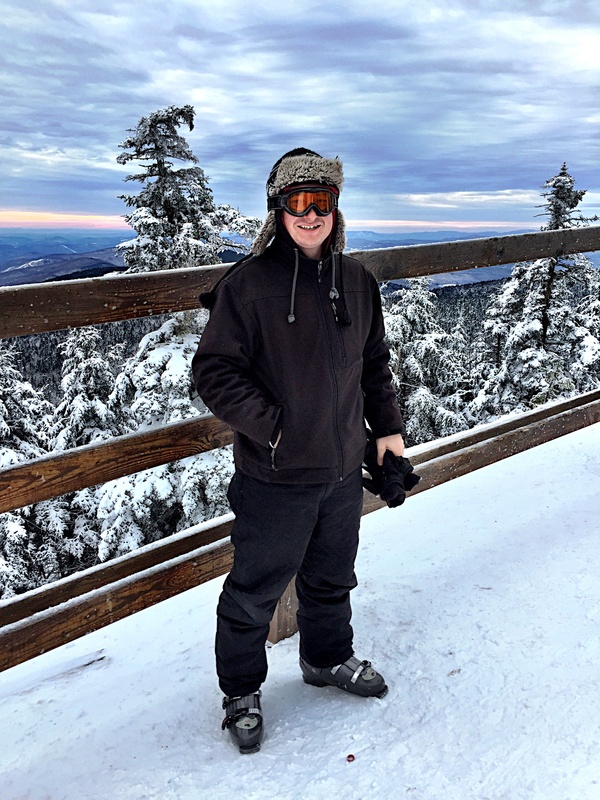 I love to ski and definitely heading up to Vermont is a great way to enjoy the snow. I’ve never been to Hawaii. It’s definitely on my list of places to go next! My favorite winter destination is Key West. Good choice! It’s hard not to like a place with plenty of sunshine and beaches. I know it’s weird but I would go either in the Spring or Summer but never the winter because that’s my time to snowboard!LOL!